Hilkka-Liisa Iivanainen (b. 1980) is a theatre artist, curator and artistic director, currently based in Helsinki, Finland. She is one of the artistic directors for Tampere Theatre Festival, the largest international theatre festival in Finland. 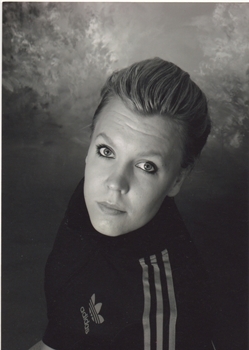 Hili has worked as a director and artistic associate for several Finnish theatre companies and international venues. Hili works mainly with contemporary performance and emerging artists and promotes contemporary drama. Her interests are in performing arts development, creative producing, intersectionality, futures thinking, and foresight. In 2017, Hili received a 5-year artist’s grant from the Arts Promotion Centre of Finland. In 2019, she works as a curator and artistic director in Finnish and international co-productions, as well as produces the seminar series ""Next Act - futures thinking & the arts"" with the National Theatre of Finland.